Welcome to Briar Group’s Rapid Gro page. We are the leaders in the industry for innovative products that meet your individuals needs. We promise you a GREEN Solution that will be site specific and cost competitive. Friendly professional attention to your needs is our promise to you. 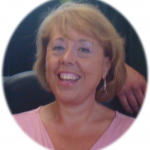 Please browse our site and give Carol a call regarding any questions you might have. Forefront Rapid Gro lawn two weeks old, in rear new installation on same day. There is no better time to enjoy a Rapid Gro lawn then now. 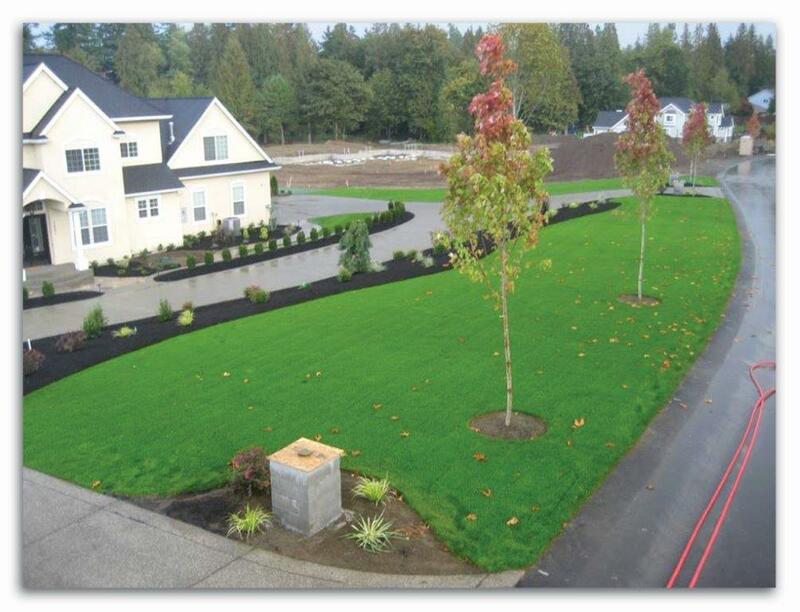 Whether it is a yard for children to play in or a pasture for horses to graze Briar Group’s Hydroseeding Products are the best in the industry. 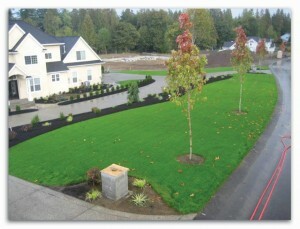 Our Rapid Gro lawns are environmentally sensitive. Briar Group cares about you and the environment by offering products to provide you and your family with lawns that will stay green with minimal water and low growth rates resulting in almost no work. Ask us today about our organic products and our soil additives to provide you with the best experience and lawn year after year. 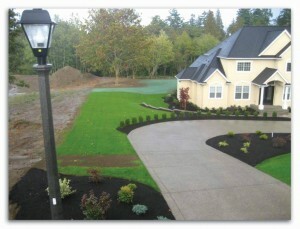 We are focusing on minimal watering and lush green lawns. Rapid Gro hydroseeding applications can include our proprietary Stay Moist additive. Unlike other company’s gel and liquid applications, Stay Moist is a natural product that is not harmful to your soil. In addition, Stay Moist has the perfect ability to both retain and release water. Many other products absorb water quickly and then retain it without giving it to the grass seed that needs it most. Stay Moist will initially absorb large amounts of water and then, over the course of days, slowly release the water to the grass seed. One of the best parts of Stay Moist is that when it is no longer needed the product will naturally degrade and become a fertilizer for the soil and new grass. 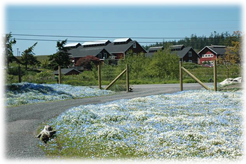 Briar Group Inc is actively working on construction projects across the State to provide erosion control, wetlands, and bioswales. If your company has a small or large project please do hesitate to give us a call and inquire about how we are best suited to your project. Any time of year is the perfect time to phone Briar Group. GREEN is what you need! GREEN is what we do! will save you money for years to come. They increase root mass, nutrient uptake and disease resistance too. 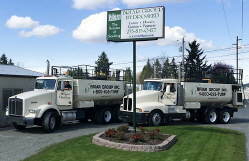 more than 25 years of experience in our industry. Our vendors supply us with the best products available. ‘state of the art’ equipment that is well maintained. 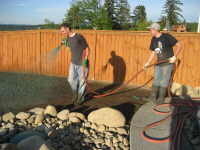 Whether you are purchasing an application for your backyard lawn, horse pasture, golf course or building site, we guarantee that it will be a pleasure to work with us.From your first phone call… to your application… to your follow up call… YOUR satisfaction is our greatest concern.Our experience and knowledge of the industry ensures your project will be successful.We can help you with installing a back yard, slope stabilization, seeding a golf course, planting fields of wildflowers, a seeding application for sports fields, lawns for business parks, vegetating bio-swales and enhancing wetlands. 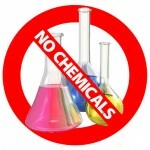 All of our products are also available in completely organic versions. Ask us about our “no chemicals” applications.